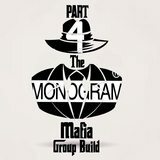 Do you like to "go big or go home" on your projects and chase wild, ambitious builds that are very complicated, mod and/or aftermarket addition-heavy and take a long time to complete or do you prefer smaller, simpler builds? 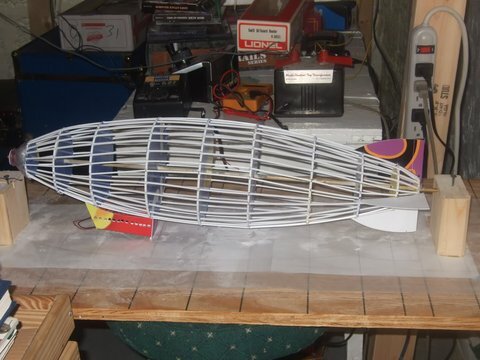 What are the craziest projects that have crossed your workbench? Just realized I've pretty much done nothing but the big and crazy kind of builds for the past few years and have 7 or 8 more sitting in the stash... each one at least a year-long build that will take hundreds of hours to complete. I'm wondering if I'm alone and crazy or just another inmate at the nuthouse. 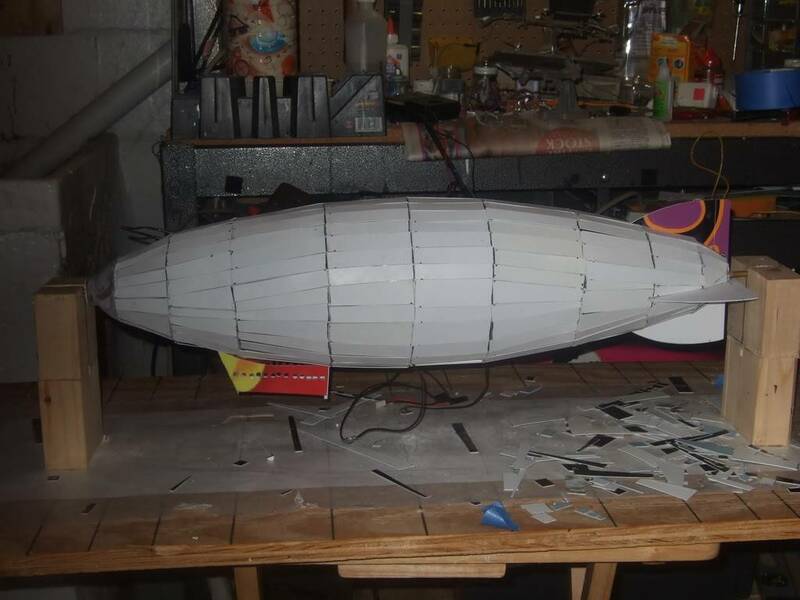 Not sure how crazy,but my scratch built airship project was labor intensive. Here is the styrene bulkheads and stringers.I covered it in individual. .10 styrene plates.Added motors also! If money is no object, bty all means do it. However I know there is 1/32 scale Lancaster bomber kit coming out late next year that's going to put a big hurt in ones wallet. I believe Wing Nut is producing it. Price is expected to hit at least $500 for the newest Lancaster kit. Nothing crazy,usually build out of box,maybe add some figures,stowage,mesh screens,but not too much. Back in the 80's though I built the Tamiya 1/350 Enterprise.I added a hanger deck,extra air wing with decals,PE nets.It vame out pretty good,but its long gone. At one time I wanted to do a 1/72 carrier. Had the air wing all bought and stacked in the closet, ready to go. Now I mainly stay at 1/350 for ships, 1/48 for aircraft. I choose my battles. To be truthful, I no longer have the drive or stamina for crazy builds. (Is there a styrene Viagra, so our wings don’t sag and our gun barrels don’t droop?) I guess I have low S.
But I have one crazy project sitting on my desk right now, just staring at me to resume work on it. But as I get older, the simpler builds seem more attractive. I just started "the ambitous project thing" a year ago and I'm into 2 of them. A 1/48 Visable B-17 ,in which I'm scratching lots of interior stuff, and a 1/32 P-40 with exposed engine bay etc. I'm enjoying the super detailing and taking my time. I will however in the meantime build a few smaller, simpler aircraft mainly for the purpose of experimentation to perfect the stuff I want to do with the big ones. My most ambitious will be the Revell 1/72 Gato, with full on PE and Shapeways 3D guns. Will be built as USS Wahoo (SS238), as she left Pearl in Sept. '43. Wanted to get it done for presentation to our state VA office on 11 Oct. 2018, the 75th anniversary of her loss. There is a 1/100 Victory buried in the pile that I probably won't ever get to, but that's another story. Most all of my stuff is OOB, with a smattering of PE here and there. I like to turn every build into a diorama to me a tank or plane don't look right just sitting on a shelf. I get crazy on some like the 1/72 Millennium Falcon I'm working on right now. Seems to be that just being able to finish a model to completion is an ambitious build for me. But the biggest project I have in mind which I call my retirement project, would be the Accurate Armor 1/35th U-boat and Quay set. I've gotten a bit more ambitious lately. I've started scratch building stuff for the first time, and I plan on trying to replicate a C-47 Skytrain named Whiskey 7. 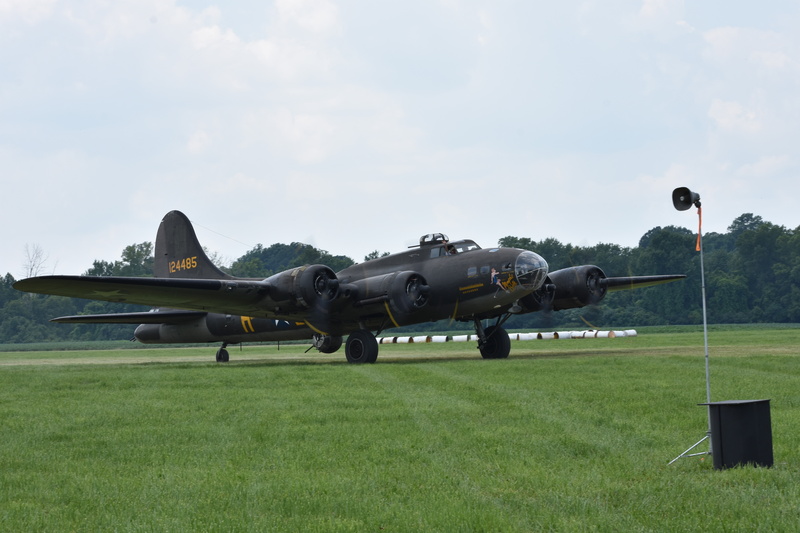 Also plan on doing Movie Memphis Belle, but I think that will be easier. It is not an either/or thing. I do both. I do major scratch stuff, but also do simple out-of-box kits. On major ship projects, especially scratch built, I work on them for awhile, then put them aside for awhile for a relaxing simple model. Otherwise my craftsmanship begins to fall off, and I get tired of working on big project. I still have to work for a living and have a family to take care of so my time is limited but life quiets down a bit around this time of year so it's is definitely my scale modeling "season" to get stuff accomplished. When I was young I was fascinated by the Matchbox 1/72 scale Flower class corvette but couldn't afford it and also kind of knew I would never be able to do it justice. A few years back it was re-released by Revell, and my local hobby store got in one of the Platinum editions. I knew that I probably still wouldn't currently be able to do it justice, but I bought it anyway, hoping that my skills might improve enough over time to give it a try. Some of my big projects tend to get carried away. A few years back I decided to dress up a 1/48 B-26 kit a bit. Next thing I know, I had added scratch built areas that were missing to most of the interior. A more recent 1/32 F-4G that I was originally going to do OOB has also generated a large amount of scratch work in the cockpit and adding all the missing external antennas. It is currently sidelined due to a bit of burn out. I guess you could say that . I started two tanker Ships some years back . they now are both in the final stages .Both are H.O. and are full of details that they don't really need , but , I added it anyway . 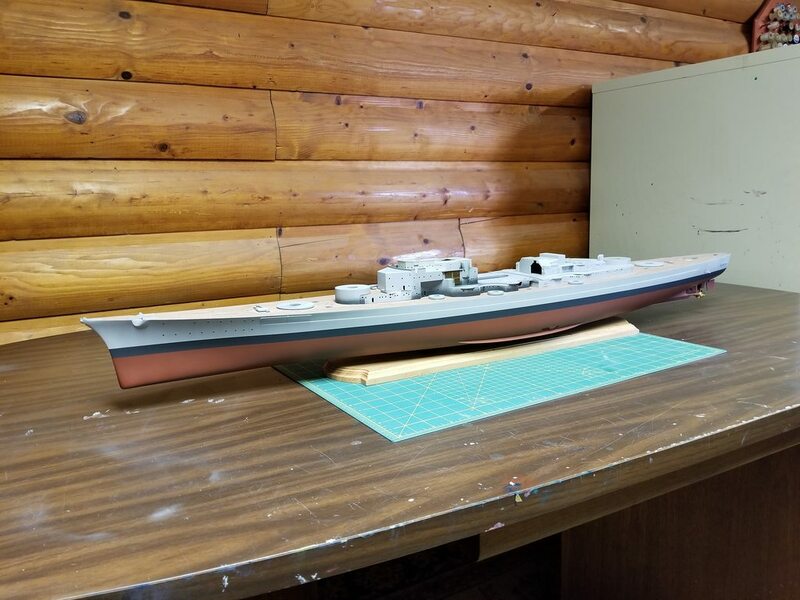 started working on the 12th hull using Revell's 1/429 Arizona to do the Tennessee post attack but before her major rebuild that totally changed her looks. Tennessee not in the link below yet. At the moment it's a crazy build. I'e finally gotten back to my 1/350th Starblazers scratch build. I'm calling it the Musashi class Space Assault Ship, Toranaga. I took the name from the Shogun series. I had some delays due to the V.A. trying to take away a very large protion of my disability. It's been quite a distraction along with not a little depression added. WEe'll see how the fight with that goes. Anyway, I have a few pictures to add, once I figure how to get them off my phone and find the cable to download my new digital camera. Once I get that done I'll add them to my original post about it. I came across your conversions awhile ago, and can't wait to see how everything turns out. PS. 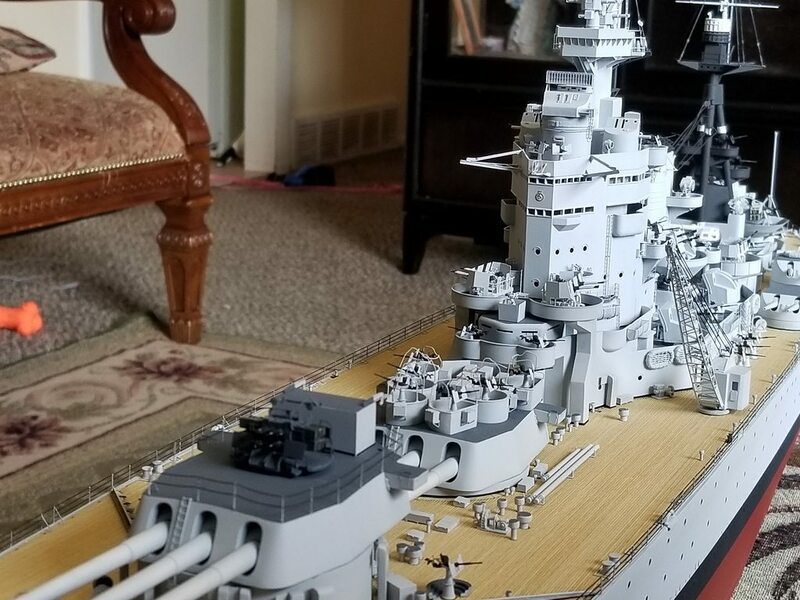 I also have a copy of the Arizona kit in my stash and would be interested to see more on what you did to correct her stern to better match the Arizona and Pennsylvania's actual hull. i use 20mm wide plates of .04"(1mm) plastic to bridge those lines causing a cavity between the hull itself & the underneath of those 20mm wide plates of plastic after i cut the rudder post off & prop shaft mounts. i glue them from the stern towards the bow till there is no more cavity shown. i then cut strips of .04" plastic 5mm wide & start gluing them parallel to the deck at the top of those previous & work down to the stern keel. 2 layers is added to both sides but 1 side has another partial layer because the concave of the original stern starts a little higher up then other side. mold design error i guess. each layer is carved & sanded before next layer is added to give the hull a more rounded shape instead of a concave shape. did the plates on the Tennessee but now have to add those 5mm wide strips. after making a new rudder post skeg by gluing 2 .04" plastic plates together & carving to shape, i then start to redo the torpedo bulges. Great, thanks . This is really helpful. I never really intentionally start a "go big" but somehow it seems to happen that way. lol I go with the "let the model decide how it will be built" or as I like to call it, the Bob Ross approach. Works for me anyway. My friends kinda laugh when I tell them my "secret" for building when they ask how I find the patience to do it. No mistakes, happy accidents or opprotunities. I guess you could say my UH-1F/P kitbash is one of those challenges, although at only 1/48 scale it isn't exactly "large". I usually like to challenge myself with something that I haven't tried before or at least very often. This is only the third or fourth helicopter I've built following a Hiller Hornet when I was a teen and a Mil 24 Hind over 20 years ago. The Bell UH-1F is giving me the challenges that I think fit the category. First off, it's a kit bash of a UH-1C and UH-1D (see the details under 'First Attempt to Kitbash a 1/48 UH-1F Huey" in this forum). Secondly, I've had to make molds and castings for engine housings, a first for me. Thirdly, I like to add details for realism and an eventual diarama...think, making tiny parts. Check out the minigun, water cooler, chairs and cots, in the photo. That's why this one is still on the bench waiting for me to get up the initiative to finish it off. 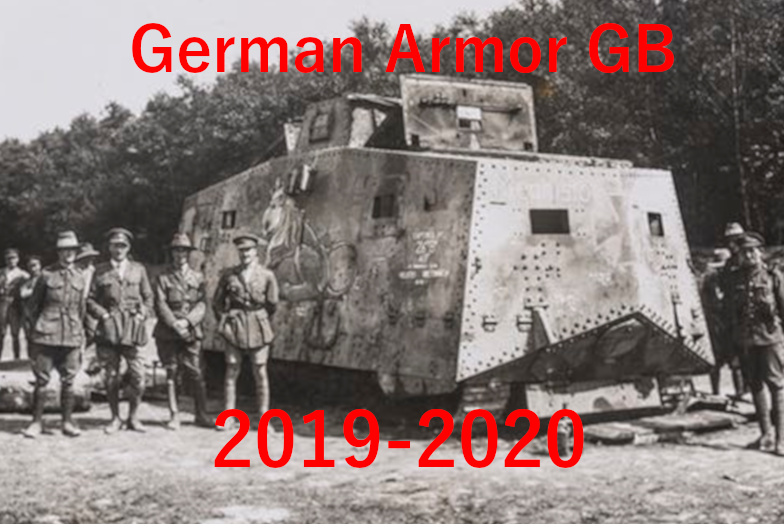 Hopefully, that won't be too long. Right now I am struggling with that big HPH B-36 model. What a project! May take a year or more to finish!! 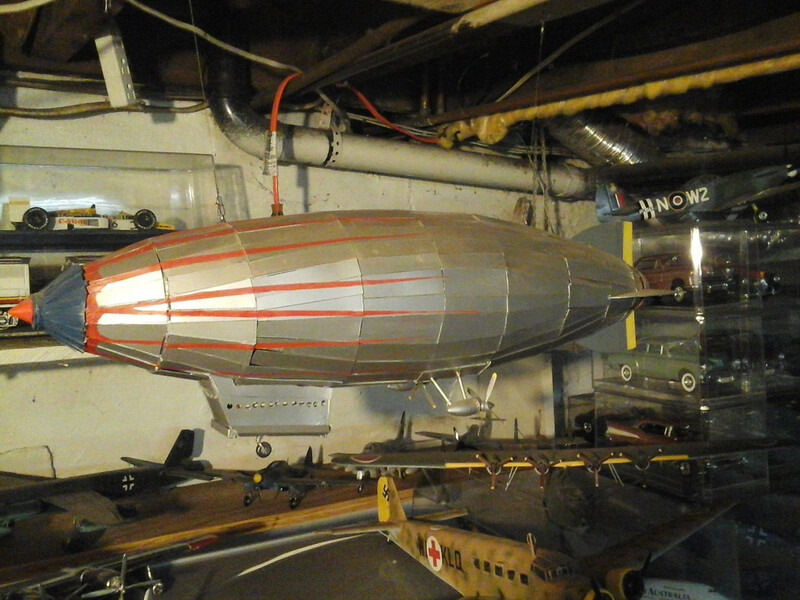 I have built 10 Monogram B-17s for the AFB library ceiling back in 1987. Way too much! !